It’s the first week of December, time to start purchasing or start thinking about purchasing gifts for all the people in your life. It really does pay off to have little or no people in you lifethis time of year. It’s always hard to find the perfect something for a friend, husband, nieces and nephews, and because I have some time on my hands (an abundance of it) I decided to help you out with my own personalized gift guide. This mug is kind of perfect for the person who thinks nothing and no one is good enough.Find it over here. There’s no one these shoes can’t please. 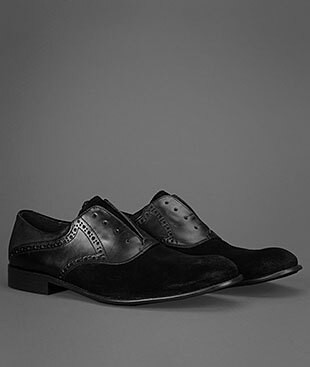 When I look at this pair of gorgeous shoes I start playing the song “Ow I feel good….” in my head. Buy them here. 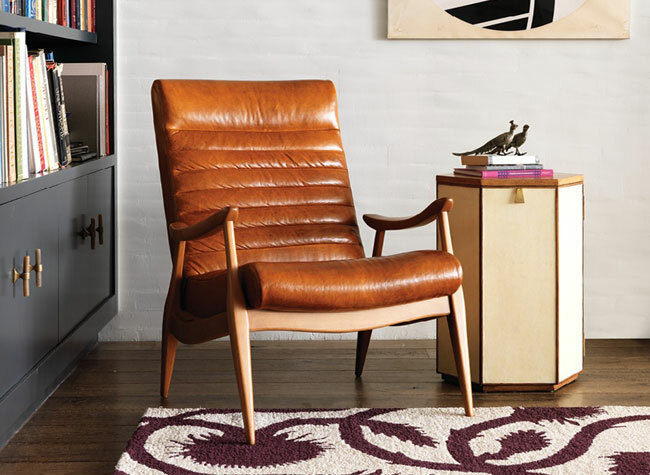 This leather arm chair is so insanely gorgeous. Perfect for anyone, any room any house. Buy it here. For someone who is easily excited about life in general, they will be exploding with joy to receive a gift every few hours of the day. They’ll get excited every single time. Before you try it, realize this will be an exhausting day for you. Most cool people have a complicated Nikon or Canon camera. This hot cup is even a good gift for someone who is thinking of buying one of these cameras. 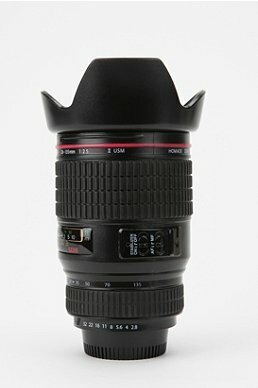 Although someonesatisfied with this hot cup over an actual Nikon camera isn’t cool anymore. Click here to buy one. 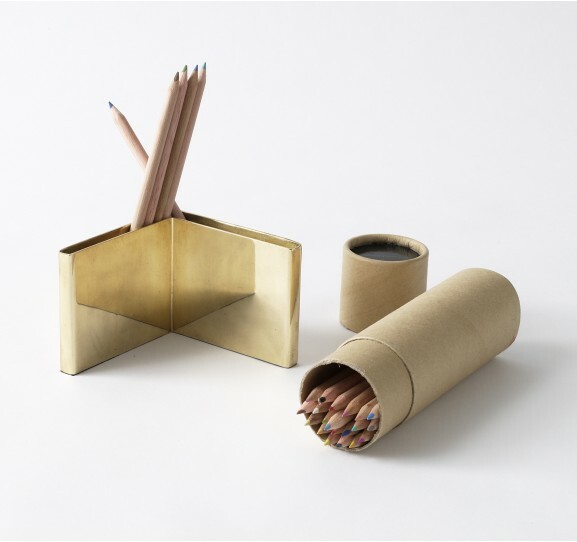 Love this brass pen or pencil holder. It will immediately chic up any office desk. Over here. 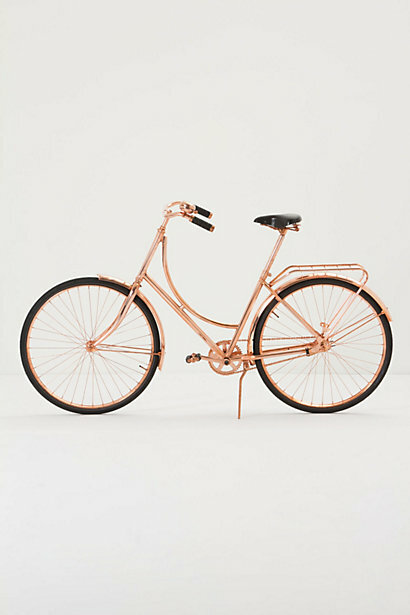 Is there anything cooler than a rose gold plated retro bike? Not really. Over here. 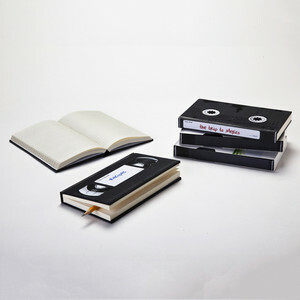 These lined notebooks are a good way to keep the past alive. Purchase them here. I would love this as a gift. I miss sitting down and talking on an actual phone and having an actual conversation. The truth is I never did that and I’m quite a fan of “don’t ruin this text marathon we’re doing right now by calling me.” Click here. 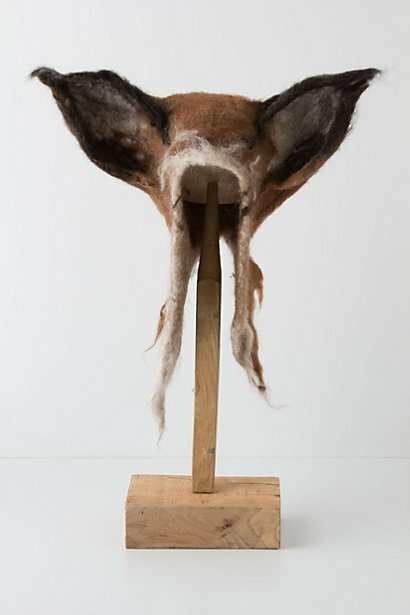 So this is a fox hat made of felt and comes with a stand. Ummm, I personally don’t know and have never met someone who likes to wear a felt fox hat or would they want to display such a purchase. Maybe I’m just hanging out with the wrong people. 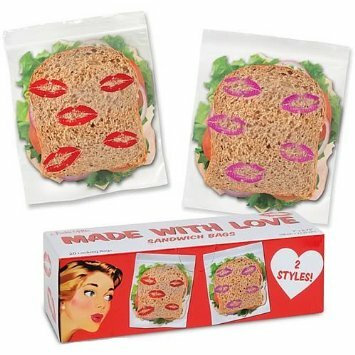 So if you don’t like someone but need to buy them something for the holiday season maybe this item, which purpose is still a mystery to me, is a good choice. Dare to buy it here. 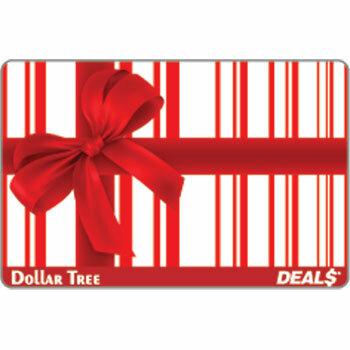 Gift card to the dollar store. 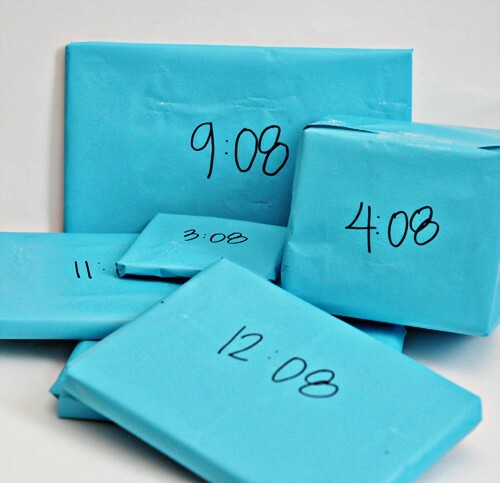 Make sure not to be around when they open this gift; it wont be pretty. I’m assuming you wouldn’t want the person you like to drink espresso out of these coffee pots. 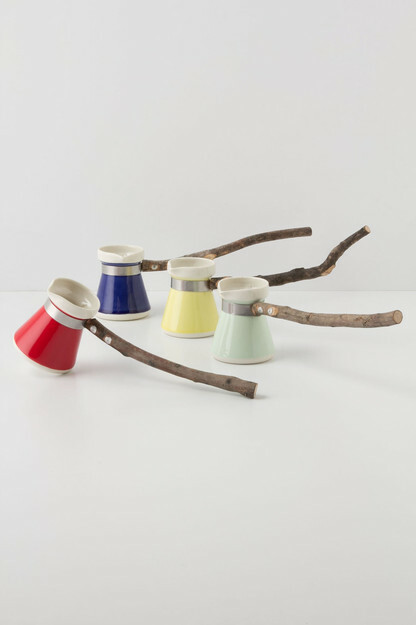 I guess it’s cute for someone who likes holding a tiny coffee pot attached to a branch first thing in the morning. 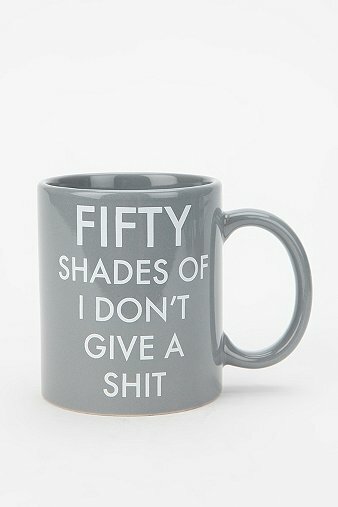 If I was handed that to make my coffee, I would take it and use it to bang the person who handed it to me on the head. Find this gem here. This is a really practical gift for the husband. After this there wont be any excuse for balls of shirts in the corner of the room. You can find it here. This is perfect to give to any husband. It’s direct instructions for them to follow. I don’t think they know how to communicate any other way. They’re over here. 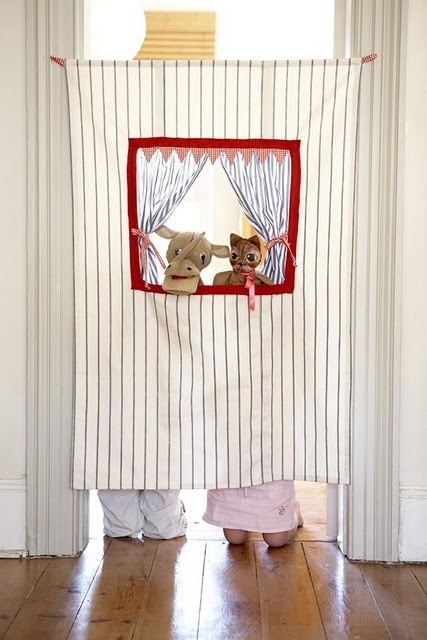 This is a perfect way for a mom to send her kids off to school in the morning. Perfect for the moms not so perfect for the kids. You can find them here. 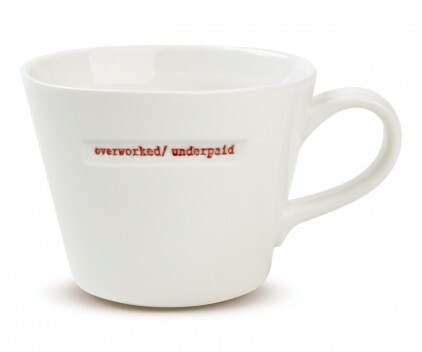 “Overworked/ Underpaid” Every mother should drink out of this mug in the morning. Find it here. 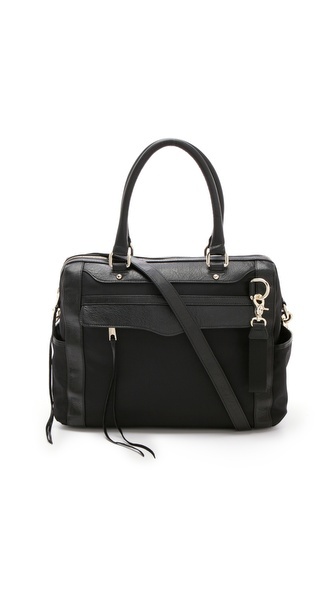 I love this Rebecca Minkoff diaper bag. It’s large and roomy, but it’s cool enough to be used as a regular bag. It’s over here. 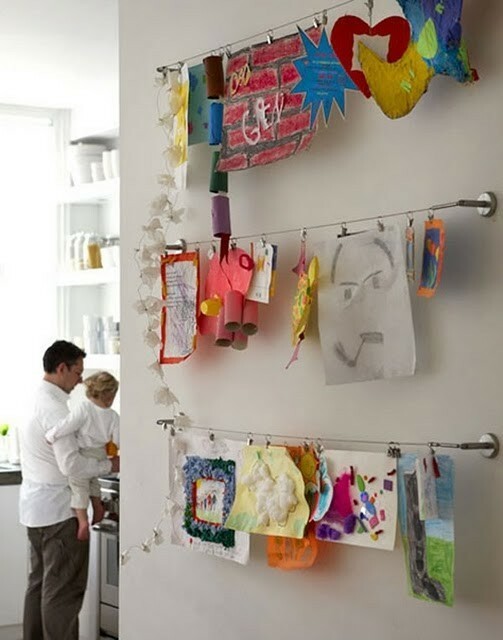 These are really cute for kids, they can draw or write away while you’re preparing supper. 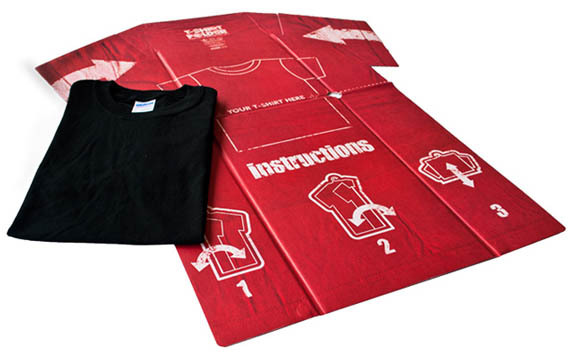 Even though the kids will probably be too busy calling your name ninety times to notice the place mat. Buy them here. 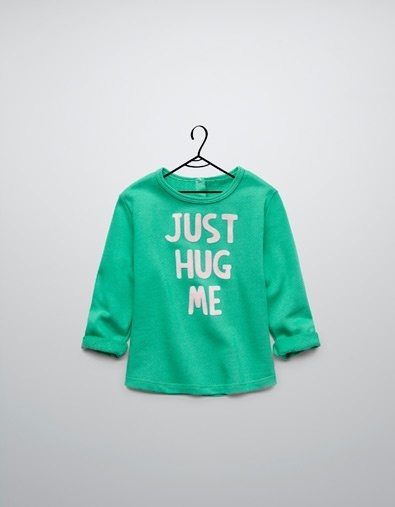 You wouldn’t be able to stay mad at your kid for long when they’re wearing this sweater….uhh, maybe that’s debatable. You can find it here at Zara. 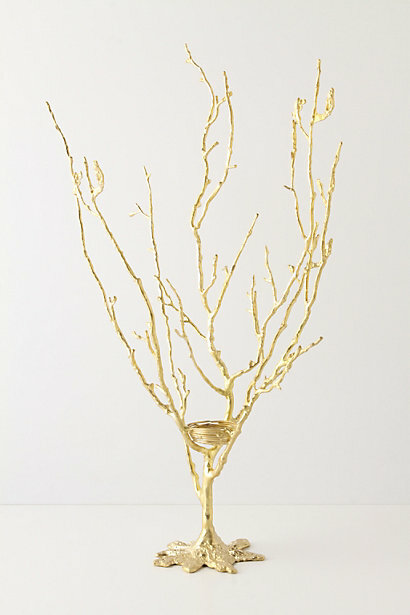 A gorgeous organic jewelry holder. I love this, find it here. 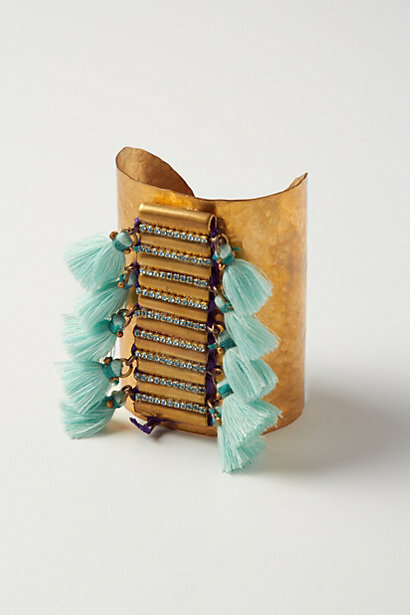 This clutch is perfect for a free spirited woman. 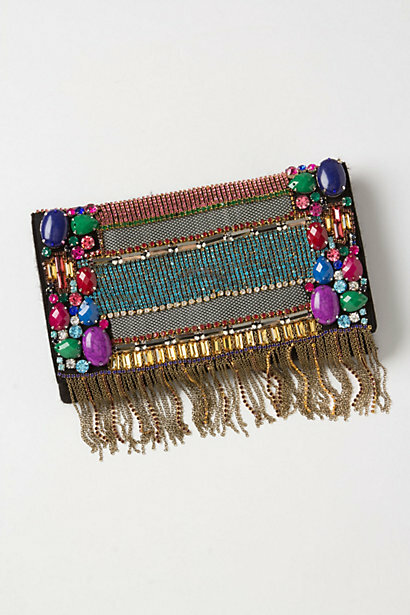 The gems and colors with the fringe make it so pretty. Buy it over here. I love this bangle, it’s such a statement. It’s also a good color combination, I think this is the bangle Cleopatra would of worn had she been around in the sixties. It’s over here. I just want to personally apologize to all the boyfriends, girlfriends, husbands, wives andparents out there. I just made a blog post dedicated to how and where the people in your life should spend money. Happy Holidays and good luck with that. 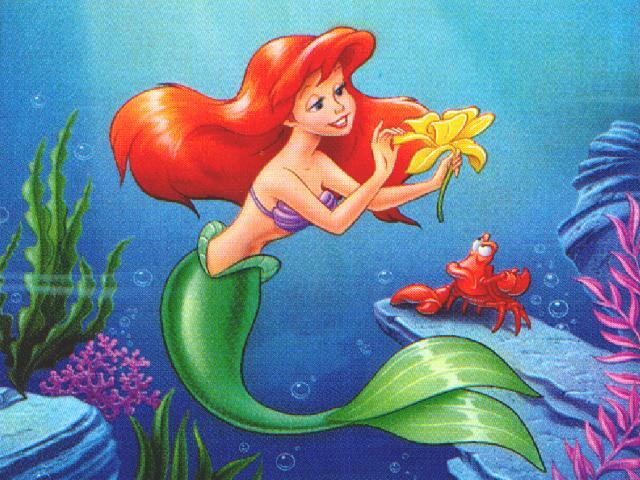 Looking back Ursula got a lot of slack because she was the “sea witch” and wanted to trick Ariel into being her slave for life, yadda yadda yadda… From her perspective Ariel was a 16 year old princess who spent her time talking to a Jamaican crab and combing her hair with a fork. Doesn’t sound like someone I would spend my time with. 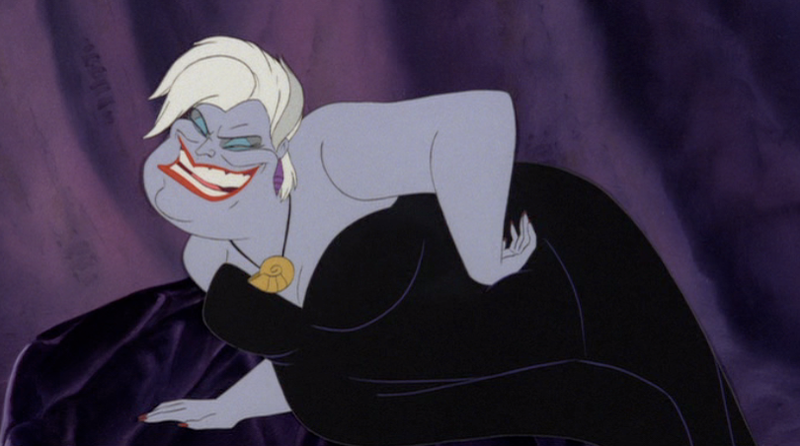 Ursula had her own den, she had powers and she was rocking the flipped mohawk way before Pink or Miley Cyrus. I chose purples and black with some grey. This is mysterious and dark like Ursula.The plants remind me of Ursula’s eel side kicks so I added them, they also look really good. 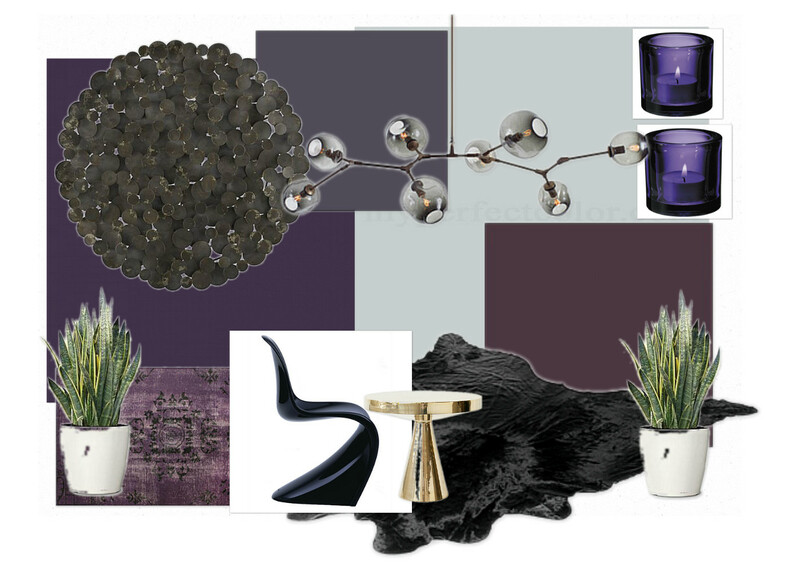 This color palette would be suited well for a dining room where there’s intimate dinners and some drinking. It would also be a good match for a master bedroom. 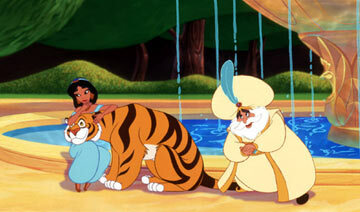 Jasmine with her pet tiger Raja and her father, the sultan; such a cute little man. 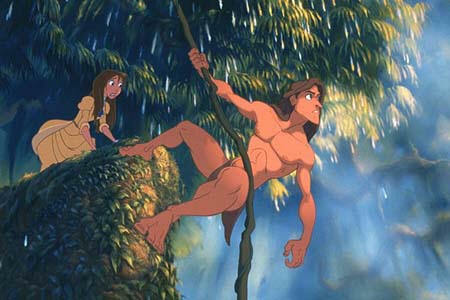 Butultimately jasmine wanted a man unlike her father- homeless barely dressed and best friends with a monkey. This would be a place for the modern day jasmine. The palette has a lot of blues with white and gold. This feels elegant and young. Instead of going all out with the expected, I used some restraint. 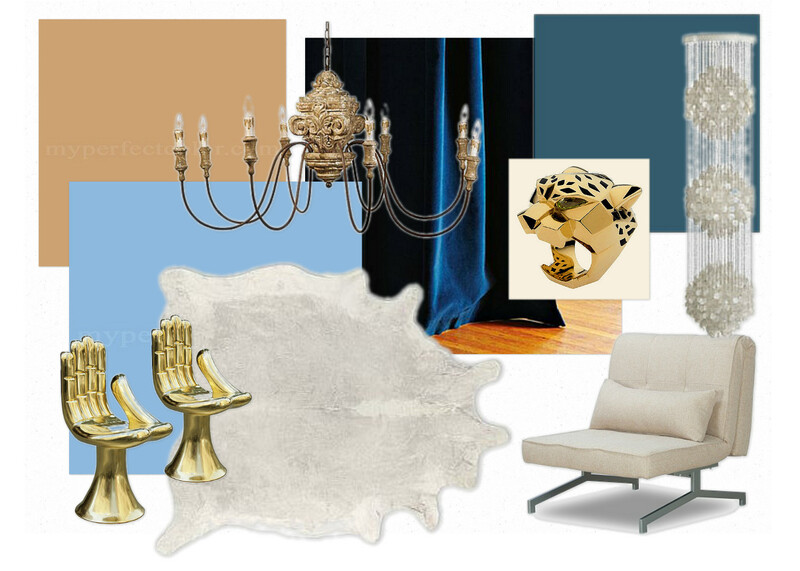 I like the softness from the colors and textures mixed with the toughness of the gold and tiger. (I couldn’t leave the tiger out.) 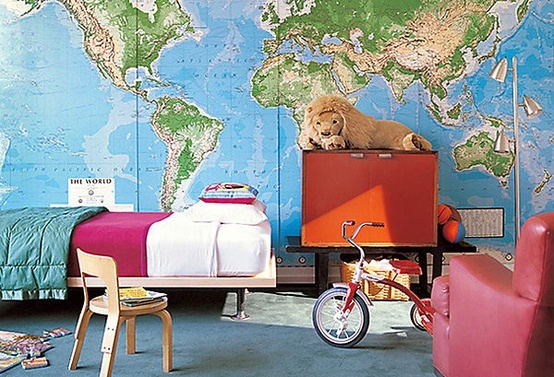 This palette would be good for a home office or a teenager’s bedroom because it would transition well into adult hood. So I’m sure this has happened to many of us. 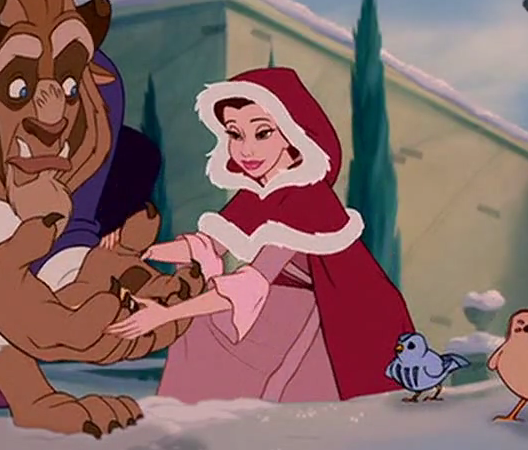 We go on a horse ride, end up trapped in a castle with a beast and fall in love with him over a snow fight. I can’t tell you how many people I know with stories like that. The thing to do after falling in love is attend a ball in acastle and invite no one else- obviously. 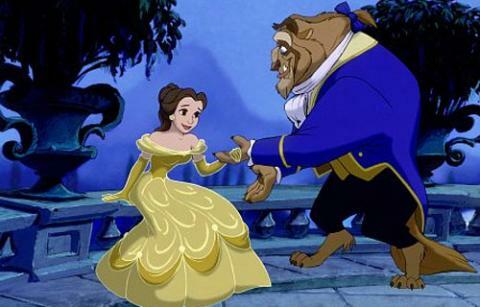 Beauty and the beast is romantic, dark and traditional. This feels regal and rich, by adding the Rothko there’s a darkness that reminds me of the castle. The colors are blue, deep red and gold. 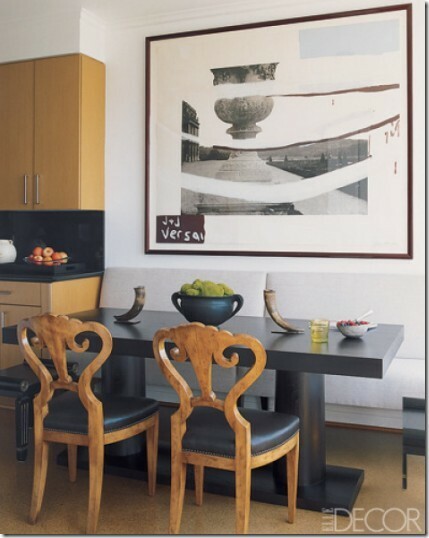 I love the mix of pieces, the chairs are very ornate and detailed while the Saarinen table is pure and simple. 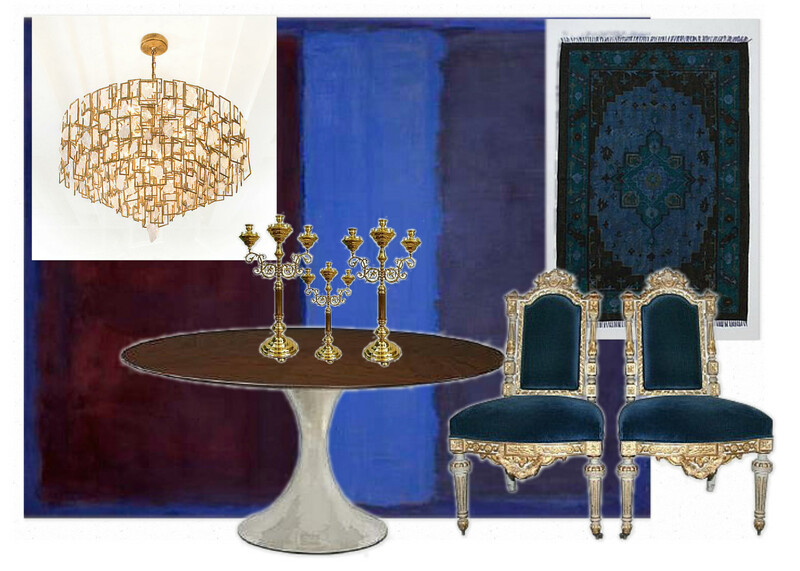 The candlesticks give a nod to the past and the chandelier is more present. 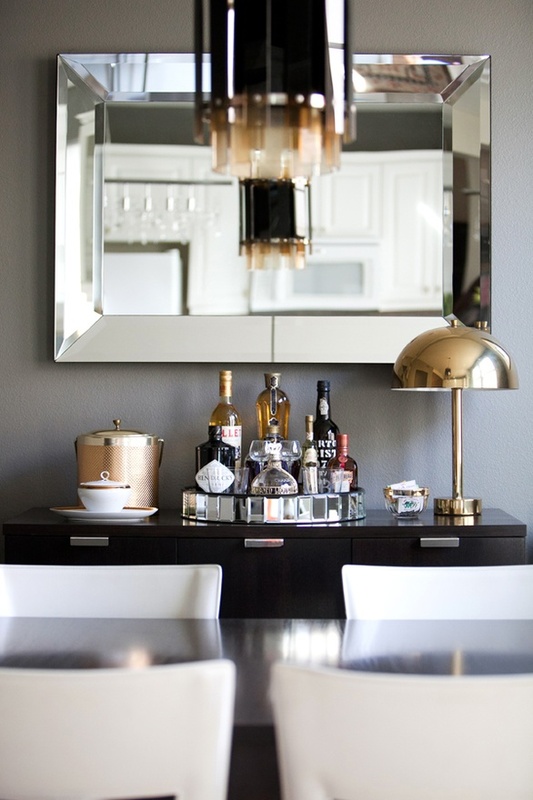 This is a good palette for a more grand dining area, one that’s used once a year for Thanksgiving. How good was this movie? 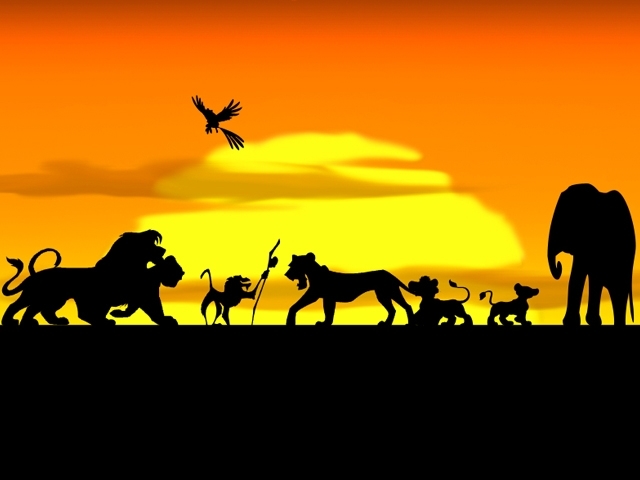 It was so touching and funny and entertaining, I fell in love withSimba. I don’t know how that would work but I did have a crush on a cartoon lion cub for a while. I used a soft natural color palette. This feels tribal and earthy but it’s not in your face, it’smore of a feeling. The peacock mirror is glamorous and still feels undone because of the mat finish. I love this palette because it’s so versatile. 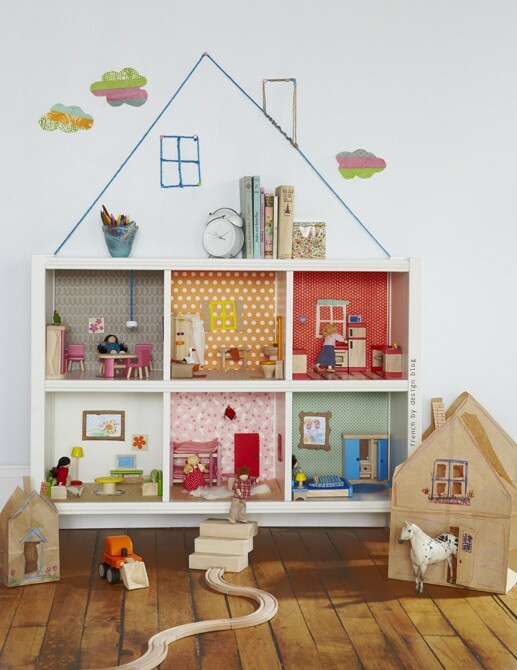 You can use this in a nursery or a den;it would work perfectly in both. Ah yes, the swinging, undressed man. This palette is light and natural. It feels exotic and exciting. There’s a man getting around using a rope miles high in the air, of course it feels exciting. 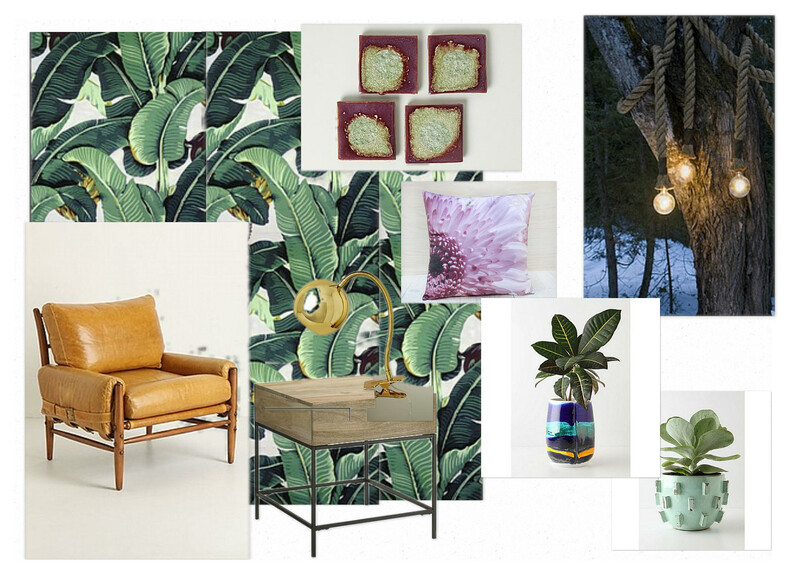 This palette uses mostly natural colors, the tan leather chair, banana leaf wallpaper, wood side table. This would be so cool for a library. Do people still have libraries? 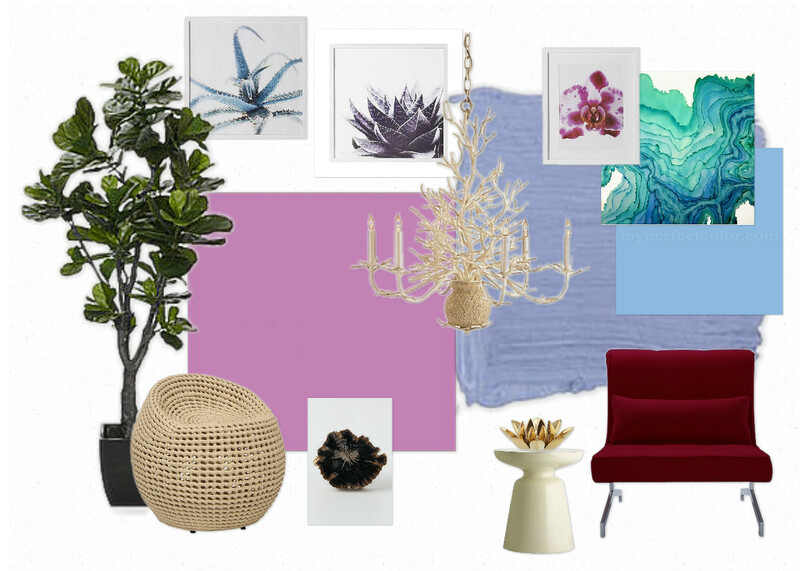 So if you don’t have a library (I don’t even have a shelf dedicated to books) you can use this palette in a living room. It would definitely work well. If you weren’t inspired when you started reading the post, I hope you’re inspired now. Good weekend to all. This display looks clean, simple and sophisticated so it doesn’t need to be limited to the “kid zone.” It also allows for an easy way to add or take away pictures/art for a quick change up. This is definitely a better alternative to putting the art work on your fridge until it’s socially acceptable to slip it in the garbage. 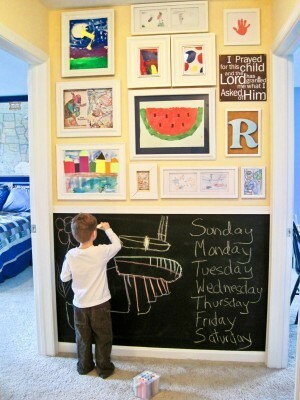 This is really cute because it also incorporates the chalk board wall. I know it’s being done everywhere, but when something’s good it’s good. 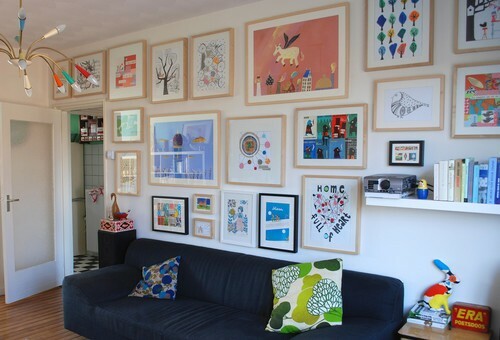 This is a good option if you don’t want to commit to an entire wall of finger painting.Choose one or two pieces that you like and incorporate it with other things. 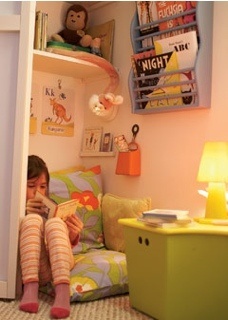 This is so cute and whimsical. 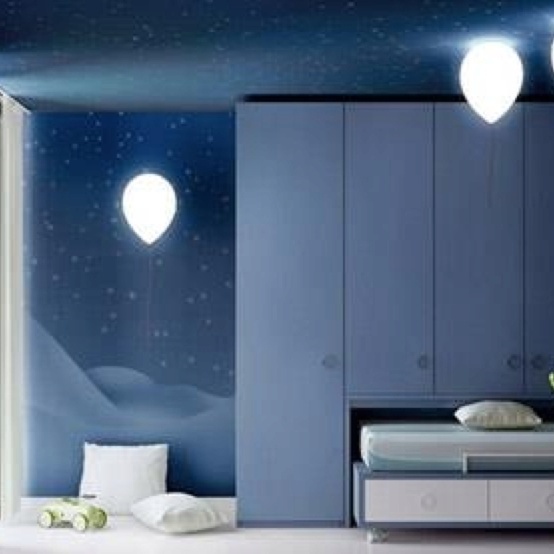 It’s perfect for a kids room and they’re a good option if your child is afraid of the dark. You can find the lights at this uniquely funky website- fancy. So these sweet lights are from Ikea. 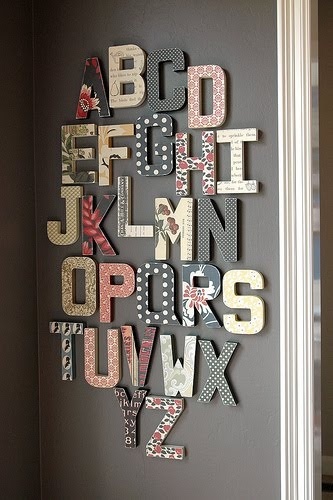 This is a really cute idea for a girls room or nursery. 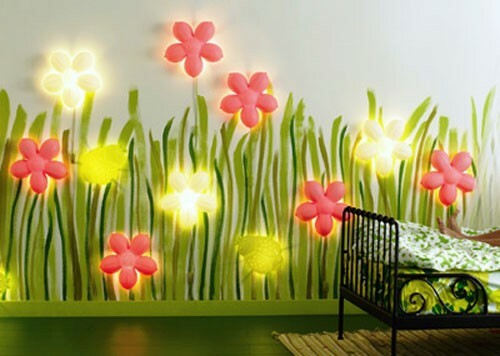 The wall mural of the tall grass adds a lot to the lights but they’re cute even without it. 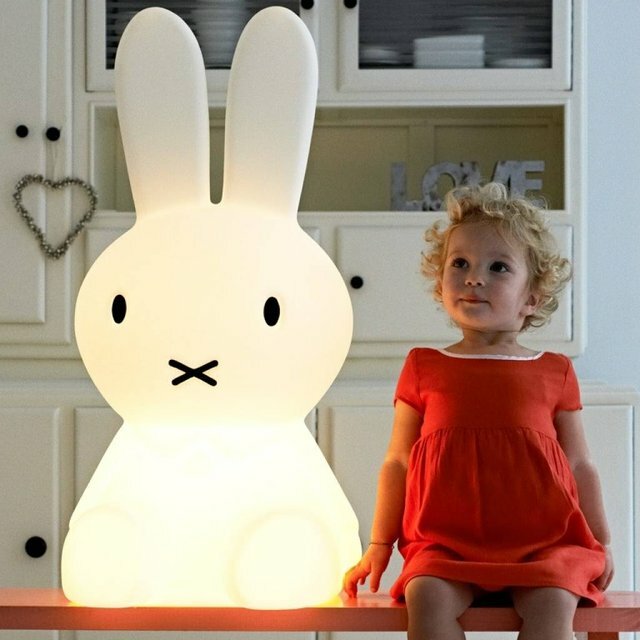 So not only is this light cute, functional and completely adorable; it can also be used to keep your child company when you need some “mommy time.” It’s a win-win. Another treasure I found at fancy. 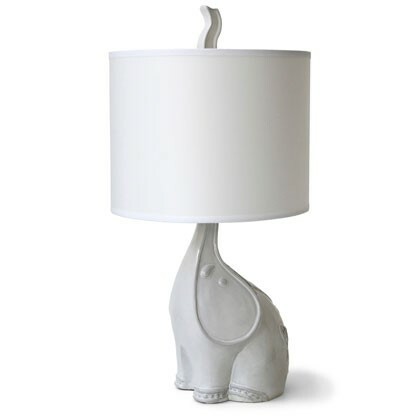 Awwww, how cute is this lamp? It’s by Jonathon Adler and you can find it over here. Every time I look at this lamp I tilt my head and say ‘aw.’ I really need to stop looking at this lamp because my neck is starting to hurt. 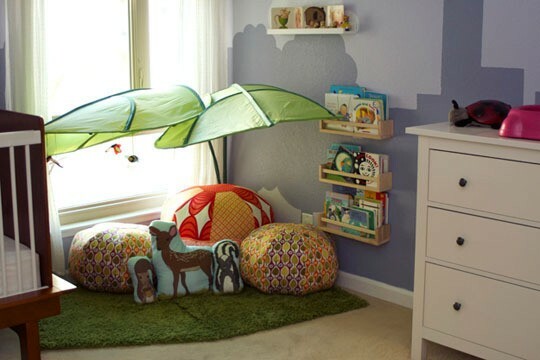 So this is probably in the ‘theatrical’ reading nook category so don’t be so quick to raise your expectations of reading nooks. This is a gorgeous little spot though for you and your children. I love those palm leaves, so cute. I love this idea. 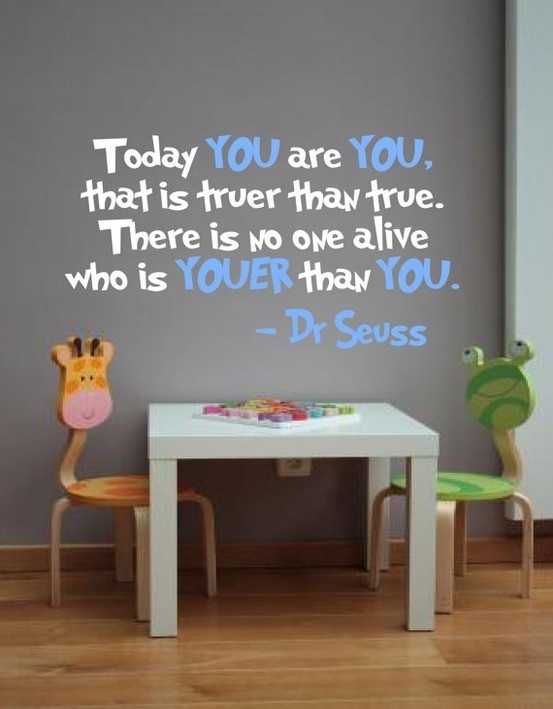 These are good words to live by for an adult and it’s perfect for a child to read that every day. Kids are so sensitive to their surroundings and what they’re told. This is a really good message. If your child hates geography class, you should try this. They can get to know the world in a casual setting plus it looks great. Good use of color and words. 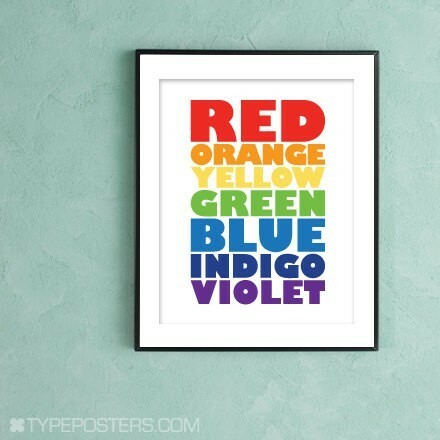 This is a more mature color word poster. I didn’t know what color indigo was til last year. 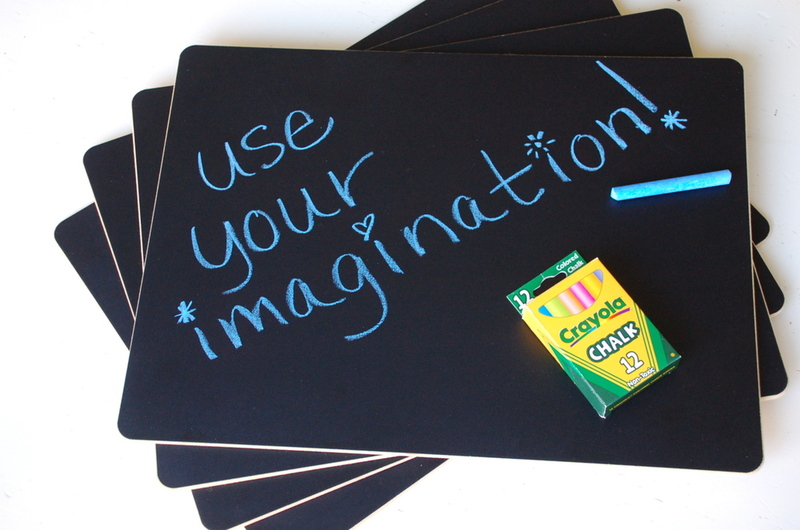 This is another great way to mix educational and stylish. So this is pretty awesome. This is something you can do with your daughter that you would both enjoy. Each cube is a different room… really fun. 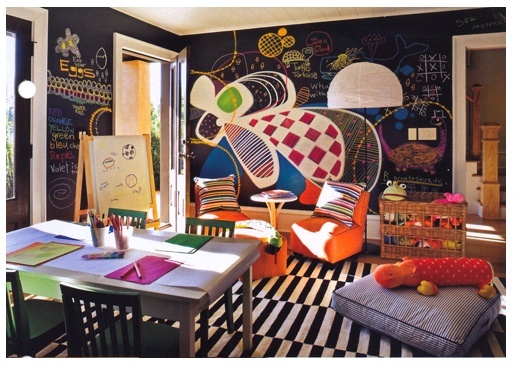 This room is so vibrant. 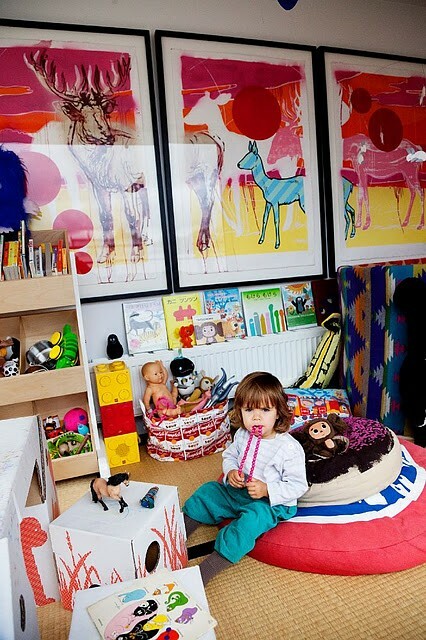 All the toys, the big scale pictures, bean bags. 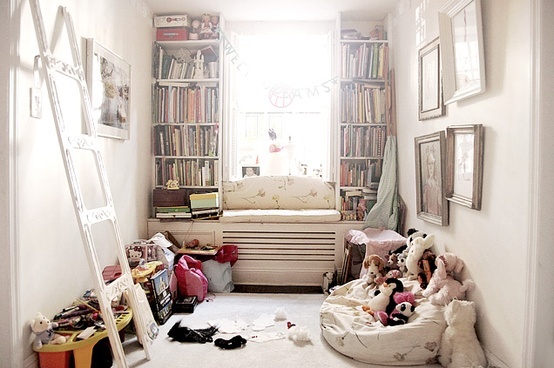 Children or babieswould have a really good time in this room. So those are my tips, hope you enjoyed them. I would like to thank ‘you,’ whoever you are, for reading my blog. If you want maybe you can tell your friends about my blog or tweet it or pin it or like it. Totally up to you… your call, don’t want to make this awkward. Most people know what they like and definitely know what they don’t like but it’s hard for them to put it into words. A lot of the time when you ask someone to describe their style, they’ll say “Well.. I love the way blue looks with black but then I also really love how blue looks with white, it’s so calming. But I could totally see myself in a room full of pink. I don’t know, I like so many things….” You’re standing there asking yourself if you’re still having this conversation. Didn’t they know it was more of a rhetorical question, like when you ask someone how they’re doing or if they need help. So I decided to put together a survey for you to answer that will help narrow down your style and make it a lot easier to stay clear of bad decisions while shopping for the perfect something for your home. Try to remember your answers so you know who you are at the end. You’re effortless chic. You are laid back and unpretentious. Your home is warm, inviting and feels lived in. 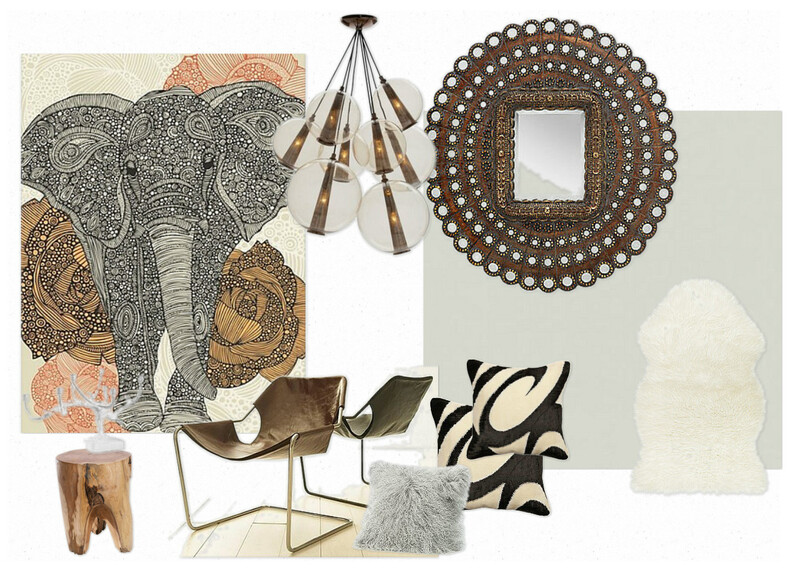 You like using mainly neutrals and adding interest with different textures. The less you try the better. Think of yourself as a toned down, sober, healthy version of Kate Moss. You’re Vintage Feminine. You like things to be low maintenance and feel free spirited. Your home is a collection of unique finds and soft touches. Anything vintage or retro is a friend to you. You like the girlie side of vintage rather than the quirky side. You’re Simple Elegance. Your home is full of souvenirs from around the world and memories of all your experiences. Your style is timeless and has a global feel. If you have a fear of new things, move along. You are not in this category. You’re Sporty Minimal. 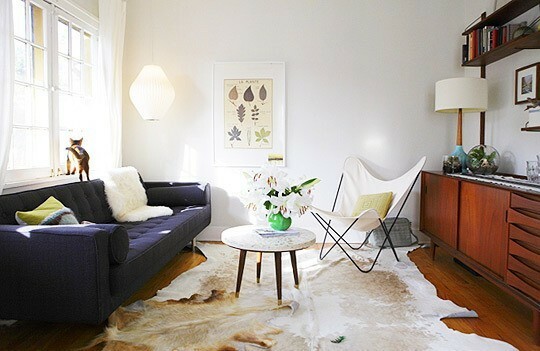 Your home is light, spacious and uncluttered. You like the furniture to shine rather than the accessories. 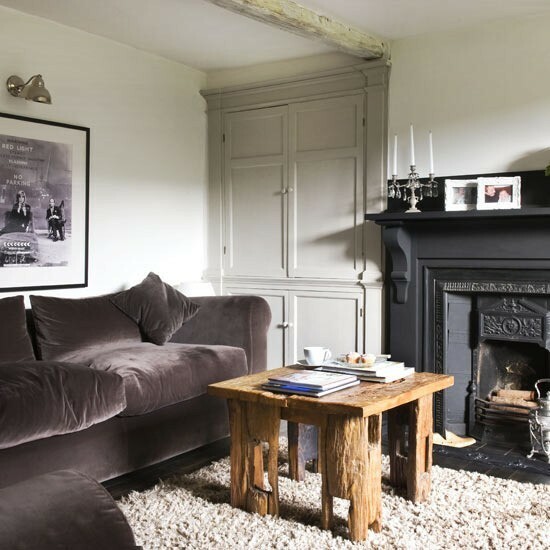 You’re adventurous, spontaneous and your home tells that story. I hope you can all use this new knowledge wisely.